1.1 This outline covers the methods and metrics for measuring aspects of the Circular Economy. Aspects include, but are not limited to, materials flows and the impacts of thoseflows. The standard is split into two major parts: measuring the material flows (measurement methods) and measuring the impacts of those flows (analytics). 1.2 The metrics and measures are focused on materials and the flow of those materials as a result of the activities of companies and from the products manufactured by those companies.In addition to the materials and flows, activities and impacts from those materials and flows in other parts of the supply chain should be included where they represent significant impact andwill be used as modifier on the material flows. 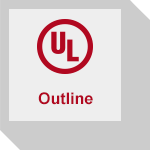 The first issue of the Outline of Investigation for Measuring and Reporting Circular Economy Aspects of Products, Sites and Organizations, UL 3600, covers the methods and metrics for measuring aspects of the Circular Economy.